Lobstertank #25 – Over the Garden Wall Spoiler Session! SPOILER WARNING!!! The gang talk about Over the Garden Wall at length in this Lobster Tank spoiler session. WARNING! THERE ARE SPOILERS IN THIS PODCAST! Scotty, Karen, Jon, and Badger get in the Halloween spirit as they discuss Patrick McHale’s Emmy Award winning miniseries Over the Garden Wall. We discuss the themes, the references, the lore and damn near everything else about the series in this exhaustive spoiler session. Not only that, we embrace the Tim Tam Slam and enjoy a tasty seasonal beverage. Join in! Fun fact! We spend more time talking about Over the Garden Wall than it takes to actually watch Over the Garden Wall! 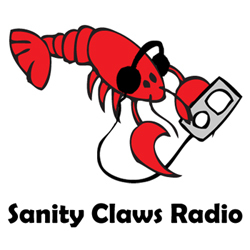 ← Sanity Claws Radio – Innovations in Games!